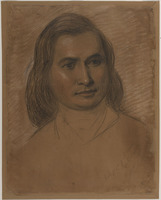 CHASE, HENRY PAHTAHQUAHONG (known in childhood as Pahtahquahong), Mississauga Ojibwa interpreter, office holder, Methodist minister, merchant, and Church of England clergyman; b. 1818 near Belleville, Upper Canada; d. 21 March 1900 in Sarnia, Ont. 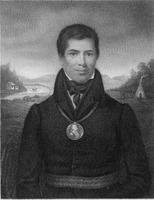 A gifted translator of Ojibwa, Chase at the age of 14 became interpreter for the Reverend John Clark, the superintendent of the American Methodist mission to Lake Superior. He served among the non-Christian Ojibwas in Sault Ste Marie and the Lake Superior area for two years. 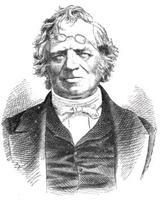 For the rest of Clark’s life Henry remained “warmly attached” to him for “his kind treatment.” No doubt Clark had arranged his enrolment in 1836 in the Genesee Wesleyan Seminary, a school with 200 white pupils at Lima, N.Y. During the winter Henry studied arithmetic, grammar, and elocution, and in the summer he worked as a labourer to pay for his education. The Methodist Church quickly recognized Chase’s talents as a public speaker. In 1837 he accompanied Clark to Albany, N.Y., Troy, N.Y., Philadelphia, Baltimore, Md, and New York City on a lecture tour. The following winter he joined the Reverend Benjamin T. Kavanaugh on a fund-raising tour of Kentucky. Chase then spent 1840 to 1842 as an interpreter at the Sandy Lake mission in Minnesota, close to the no man’s land separating the Ojibwas and their enemies the Sioux. Upon his return to Upper Canada in 1843, Chase became an interpreter for the Indian Department at Port Sarnia (Sarnia), among the Lake St Clair Ojibwas. He worked there as an interpreter and accountant for 13 years, relinquishing his posts to become a Methodist preacher in 1856. At the St Clair Mission he had often assisted the Reverend Solomon Waldron, who described him as “the best translator of the Scriptures lessons I ever knew.” Chase served for two years at Muncey, near London, and Michipicoten (Michipicoten River) on Lake Superior, and then mysteriously left the ministry and the church. Perhaps he no longer felt at ease in this church, which after the deaths of William Case in 1855 and Peter Jones* in 1856 apparently lost most of its zeal for Indian mission work. Little is known of Chase’s activities between 1858 and 1863. He remained in Sarnia, and when the Prince of Wales visited there in 1860 he read the address on behalf of the 70 Indian delegates, who represented 35 bands. Described by the Sarnia Observer, and Lambton Advertiser as “one of our most enterprizing merchants,” Chase worked as senior partner in the firm of Chase and Armour, and later in that of Chase and Buchanan. He had married Annie G. Armour, a 19-year-old woman of Scottish ancestry, in 1852, and the couple had two sons and two daughters. The Anglicans in Sarnia first attracted Chase into their church as a catechist. Abandoning his business career, he became a deacon in 1863 and a priest one year later. Posted back to Muncey, in 1864 he led 70 Ojibwa adults out of the Methodist Church into the Anglican. Energetically the former Methodist preacher visited the three reserves around Muncey, those of the Oneidas, the Munsee-speaking Delawares, and the Ojibwas. By 1876 he had built Anglican churches on all three, and walked 16 miles every Sunday to preach in them. He claimed to have converted 210 Indians between 1865 and 1878, a considerable accomplishment since the number represented one-fifth of the population of the reserves. In order to raise money to maintain the churches, Chase visited Britain in 1876, 1881, and 1885. The lord mayor of London received him on the occasion of his third visit; he also had an audience with the Prince of Wales. Chase left the Muncey mission in 1880, but at the request of Anglican authorities he undertook special tasks such as fund-raising trips. Between 1887 and 1896 he served as minister of the Anglican church on the Sarnia Indian reserve. Huron College Arch. (London, Ont. ), Clergy list, Diocese of Huron . . . , June 30th, 1887. Minn. Hist. Soc. (St Paul), G. L. Nute, “North West Mission papers.” NA, RG 10, A4, 507: 352; B3, 1942, file 4103; CI, 2, vol.436: 574–784. UCC-C, Solomon Waldron, “A sketch of the life, travels, and labors of Solomon Waldron. . . .” UWOL, Regional Coll., James Evans papers. Colonial and Continental Church Soc., Annual report (London), 1865–85. Mrs B. C. Farrand, Indians at Sarnia (n.p., 1899; repr. Brights Grove, Ont., 1975; copy at National Library of Canada, Ottawa). Grand General Indian Council of Ontario and Quebec, Minutes (Hamilton, Ont. ), 1870; (Sarnia, Ont. ), 1874; (Hagersville, Ont. ), 1882, 1884. B. M. Hall, The life of Rev. John Clark (New York, 1857), 184–87. “An Indian chief at the Mansion House,” Aborigines’ Friend: a Journal of the Aborigines’ Protection Society (London), [4th] ser., 6 (1885): 255–56. Kahgegagahbowh [George Copway], The life, history, and travels of Kah-ge-ga-gah-bowh, (George Copway) a young Indian chief of the Ojebwa nation . . . (Philadelphia, 1847). Christian Advocate and Journal (New York), 2 May, 5 Dec. 1828; 2 June 1837; 1 May 1840. Christian Guardian, 13 April 1853. London Advertiser, 18 May 1898. Sarnia Observer, 14 Sept. 1860, 23 March 1900. Canadian album (Cochrane and Hopkins), vol.1. Cornish, Cyclopædia of Methodism. Crockford’s clerical directory . . . (London), 1899: 244. 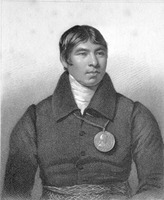 Donald B. Smith, “CHASE, HENRY PAHTAHQUAHONG,” in Dictionary of Canadian Biography, vol. 12, University of Toronto/Université Laval, 2003–, accessed April 26, 2019, http://www.biographi.ca/en/bio/chase_henry_pahtahquahong_12E.html.